Will you be starting this up again once the best topics is over? Very likely, I have a new chapter half completed. Here is the next chapter. I am focusing on less characters now, but there will be a surplus of chapters (I don't like long chapters). That is the new reality of the contestants; they are in The Hunger Games. As Joe breaths labouriously in a bush where he has good camouflage from any onlookers, he berates himself for thinking he ever had a chance. When he looks at his bleeding left arm, completely numb, he feels dread fill his body. Within a day, it would definitely be infected, unless Joe could amputate it. This was nothing like his victorious Hunger Games, where Joe outsmarted the entire arena and electrocuted five people during the first few minutes of the game. His prosthetic leg isn't that big of an issue, but his spinal injuries are. And now Joe was practically just delaying his death. Faiz had really done a number on him, even if Joe managed to impale him. There isn't anything to fear. Joe does not believe in a deity. There is always the possibility of a higher power, but he doesn't buy into that. And yet the prospect of an afterlife now intrigues him as the world starts to become fuzzy. In the small chance that there is an afterlife...what would happen? Suddenly, people become audible, and Joe's heart practically stops beating there and then. Joe still lies behind the bushes. A beautiful place to die; amidst the animals of the valley. He doesn't know what else to do. He's already thought about his life, achievements, and family over the past few hours. He also saw a strange flying piece of technology flying about, no doubt one of those rumoured broadcasting devices. Joe's family would know that he went courageously. That he had no choice. Batari and Roshani appear as Joe's vision begins blurring again. Why! Why did it have to be her? "I don't want to die to her...", Joe thinks. He hears Batari say something in their native language, but he can barely make it out. Are they showing mercy? Their language is only used during prayers, sacrifices, or funerals nowadays. Joe isn't dead yet, but he can't see anymore, and everything is painful. "Poxti Suxli sekxeyti", the High Priestess growls in the Údnei's native tongue. "[You should] hope that the Sun saves you". It's an oddly depressing site to see Joe, her only critic in Údnei, dying. But from Batari's experience, she knows that he won't truly pass for about ten more minutes as his body shuts down. Guiltily, Batari stabs Joe with her dagger through the chest, and he dies instantly, without pain. "Dzhoyi, Suxli, sekxeywa. Neguxwame tokrewa deigowa arskuweikwor". And something in Batari's mind snaps. AskJoe [Aug 22 09:01 PM]: @Moana That is the saddest chapter I have ever seen. Photos coming later, but here is something I wrote in 15 minutes to make up for the lack of chapters. Dholes are wild dogs and tapirs are a type of mammal. Back on usual schedule after another chapter this evening. Sayla spits out chewed willow bark, and applies it to Sophia's arm. Sophia winces as the willow bark is pushed into her wound. But she's glad that Sayla had found her and Leia after they were nearly mauled by a pack of dholes, and offered her assistance. Leia does not have any severe injuries, but Sophia's left arm is entirely shredded. Two dholes had bit it over and over again. Sayla had said that without the willow bark, it would have to be amputated. Sophia trusted her on that; she couldn't feel parts of her arm. It was frightening. The dholes are still burnt into Sophia's mind. Leia was pacing back and forth nearby, on guard. The sun was setting. They had already heard wolves howling, and Sayla said that she had seen bear dung. The real danger in this arena came from the animals. Sayla uses reeds to create a cast. Once the job is done, she whispers. "I expect no repayment. Prosper, Leia, and take care of this young one". "Why do you think she helped us, then? ", Leia questions. Sophia shrugs. "Why did you help me? Because I don't have any skills. Now, let's do the one and only thing I'm good at. Let's meditate". And so Sophia and Leia calm themselves through meditation, guiding attention away from their injuries. But Sophia finds it difficult not to tell anyone that this is all a ruse. It's just such a perfectly good plan! Jayma points to a tapir hiding behind a bush. Young and fat, isolated from a herd. This would be easy. 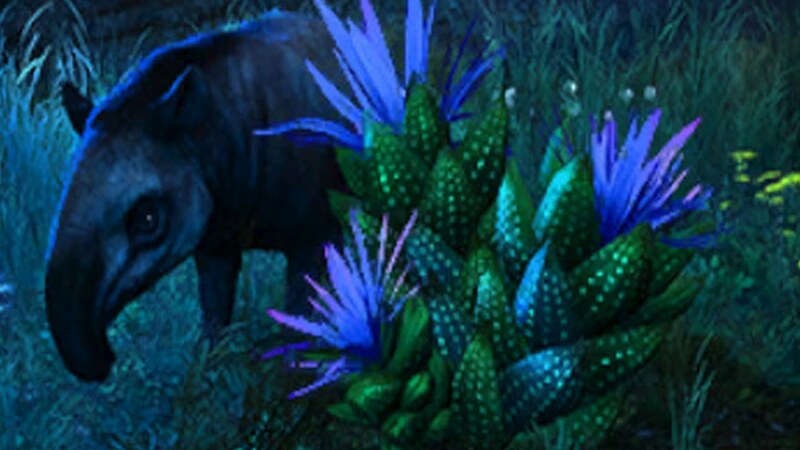 Volt silently moves to the right of the tapir, while Jayma moves to the left. There were tbleep bushes or large trees blocking escape if it goes any other way. Jayma readies her handcrafted wooden bow, and fires at the tapir's right eye. It suddenly starts flailing around, running in circles. Not seeing that Volt is on its right, it runs towards him, but is greeted with a spear to the brain. Tapirs are nocturnal, and masters of disguise. Within a few minutes, the sun has set, and the tapir is fully skinned. Jayma and Volt only communicate in hand gestures at night. Volt has quickly learned the hang of the sign language of the old Charngashnar hunters. In the silence of the night, they are both startled when they hear…something…running towards them. They take their meat and climb trees, awaiting for what is about to appear. Jayma and Volt gape at what they see coming. Zetsu sprints as fast as he can, the adrenaline in his body making him forget the bite on his left leg. Wolves run beside him, being slowed down by the tbleep underbrush of this part of the forest. Behind Zetsu are Isabelle and Cosmo, who were looking to form an alliance until the wolves arrived. But for an inexplicable reason, they didn't go after Isabelle or Cosmo. "If you do not kill once in the Games, then they will not let you win. A disaster will target you. It targetted me; poisonous rot fumes. I made it out once I killed my partner out of desperation", Jayma whispers to Volt, her eyes giving away her hardiness. Volt could tell that Jayma regretted that kill, and knowing that she won't win, doesn't want the same to happen to their duo shall the Game Designer choose to separate them. Nodding, silent as always, Volt begins to make his move. Zetsu struggles to climb a tree, wolves yapping and barking underneath him, running around to evade the incoming spears thrown by Isabelle. One dies a bloody death after Cosmo arrives and throws heavy, spiked bolas at the head of one. Lucky shot. It was the pack leader. Volt observes the wolves running away. They will find some other prey tonight...and they're going to have to find a new leader. Everyone's heart is racing. Volt is nervous. Isabelle raises her hand to Zetsu, who accepts it, wincing as the adrenaline surge ends. Cosmo frantically begins searching through his equipment for something to sterilise the wound. But it won't matter, because Volt...he will kill one of them, yes. Volt fires an arrow at Zetsu's head, readying another one to go straight to his heart. Zetsu registers...something, but he doesn't really understand why Isabelle lets out one of the most bloodcurdling screams he has ever heard, or why Cosmo, crying, grabs Isabelle and they both run away. He doesn't feel anything as he dies. Nothing at all. Jayma pats Volt on the back. "You eased his pain. His spirit will walk to a better world without pain. Isabelle and the other boy-". "Yes. Isabelle and Cosmo did not have anything to help the wound. This had to be done, Volt. Do not guilt yourself. You have great precision and good hunter eyes...so silent, that nothing ever spots you. What will your hunter name be, Volt?". Volt feels some guilt at killing Zetsu. But he actually has what it takes to win this. He can do this silently, like a ghost. I was going to do that, actually. Or periodically update with portfolios. I did not want to make this chapter too long. Thank you for the kind comment. 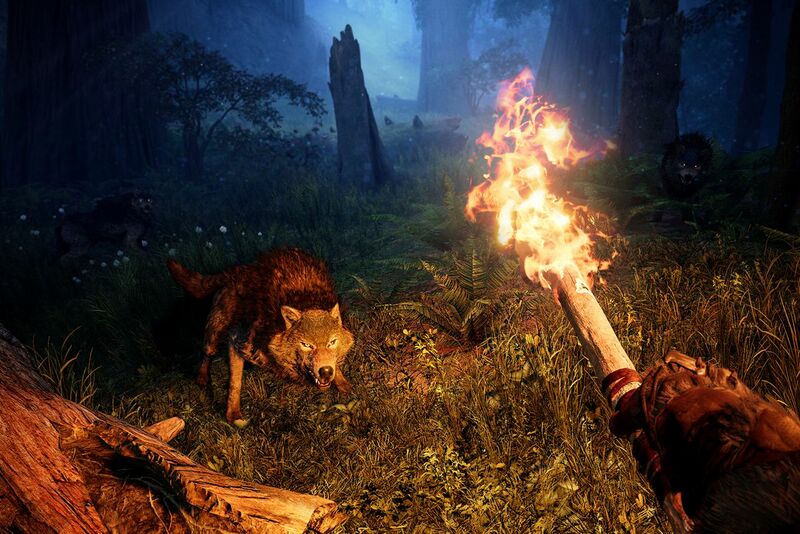 I hope to instill development in other forumers as well, and perhaps two of the Far Cry Primal characters. I'm still working with who to make main characters. Head Game Designer Ebby examines her map of the arena. There were lots of opportunities to create arena disasters. In the northwest, an earthquake could cause high cliffs to collapse within minutes, wreaking havoc for everyone on them and below, due to rock falls. In the southern marshlands, a very strong rain would cause an enormous flood, forcing the contestants caught in it to die, or swim to the Fallen Rocks complex. But this arena was so huge, and the contestants so spread out. Only twice has Ebby, or any of the other Game Designers, observed a meeting between separate groups. That would have to change. Overseer Neff had ordered that using something called a hologram projector, at midnight, the deaths of all contestants would be announced, along with their killers. It would make the contestants rowdier and angrier; Head Game Designer Ebby was reluctant to do it. But, orders from the Overseer are always orders. "It's ten minutes until midnight. Game Designer Tony, I need you to begin the procedures for Drone X3 to project the hologram", orders Ebby. "Game Designer Oofis, you have a taste for music. Oh, that rhymes! ", she yells, laughing creepily. "Help Tony select a good track that will evoke emotion from everyone!". Still barely containing her laughter, Ebby sits and waits, suddenly serious again. Nine minutes, now. The Gwarashnar are definitely going to be angry. Half of their contestants are already dead. The Survivalists may take pity and send some supplies to Sayla, Cosmo, and Ay-Chao. Before going to bed, she takes one last look at the observed alliances. Abu has gone solo. Robin and Hobbes are still together. Ay-Chao has just formed an alliance with Ianiant, while Usopp went solo. Batari and Roshani are still allied. Faith appears to have just formed an alliance with Kanga. Isabelle and Cosmo are still allied. Jayma and Ghost would never separate. Sophia and Leia are allied. This would be an interesting Hunger Games. "Game Designer Oofis, you have a taste for music." This topic is already a classic.